Sometimes a life event can make you see things in a new light. The way we use our living spaces has radically changed in recent years. Kids came home after college and stayed. Older parents and grandparents are in better health and living longer, but live with younger generations to conserve retirement resources. New housing costs are ratcheting up and mortgages are tough to come by. Staying put and renovating to suit multi-generational needs is the new norm. All these life changes have placed space and time at a premium. As we remake our homes to fit new circumstances in life, the modern solution to this scenario is open concept architecture. With open concept architecture, family rooms and kitchens continue to expand as they accommodate our expanding nests and are becoming more attuned as the family hub. Other spaces in our homes such as the seldom-used formal dining or living room and home office are either vanishing or merging with other rooms and ceilings heights continue to go up to compensate for the smaller home footprints. The challenge is this, “definition of space” in an open concept home is necessary to create not only a visually beautiful home, but one that that feels good. A solution to this is Masterstroke lighting. Masterstroke lighting creates an exciting focal point and is an innovative way to demarcate these different spaces without walls, not to mention the perfect way to show off your personal style in grand fashion. We have all experienced walking into a house that just didn’t feel right. This happens when we enter a space where the use is not articulated clearly. With open concept architecture, rooms not only open to each other, they are also multipurpose. The lack of walls and blurring of conventional uses makes it difficult for us mere mortals to process. In effect, we are ships lost in fog. The Masterstroke serves as our GPS, cleverly enunciating not only your personal fabulous style, but also providing a visual anchor that subliminally communicates what that space intended use is. Voila, we are now feeling at home! Masterstroke lighting is super-sized lighting. The age-old principles of proportion and symmetry are passe. When searching for the correct proportions for your home, remember that size is relative. Do not be afraid to push the envelope. The tipping point is when your furniture makes it look as if you have become a Lilliputian. Any room in the house. Any size house. 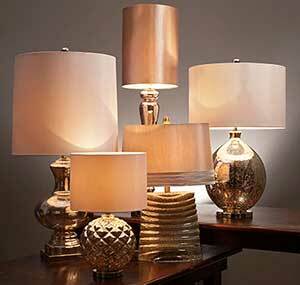 The largest impact will come from using oversized lighting in a smaller bedroom, study or over a smaller dining table. In a larger room, the overall effect will be slightly more subdued. Think about incorporating over your coffee table or add instant ambiance to a stairway. Two matching oversized table tamps on a sofa table gives any room instant high style drama. Oversized floor lamps are an easy way to refresh or reinvent any room in a snap. Go ahead. 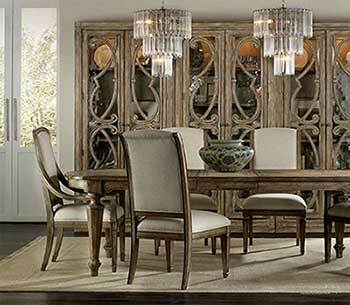 Reinvent and innovate your space with an over-the-top style statement! This can be explained through a concept known as place identity. Throughout our lifetime we come to associate various experiences and memories within the context of the settings in which they take place. The National Association of Home Builders projects that the average home size will shrink to under 2000 square feet by 2015. That is a 15% reduction in size since 2007. As the foot print of our homes continue to shrink, the elements we place in our homes gain more importance. With space at a premium, objects brought into our homes must work harder preforming double duty as visually enhancing and functional to earn their keep.